I don’t know if it’s because Pearls nowadays are not that in fashion or it’s only our “grannies” that seem to wear them with pride, that I never really appreciated them as I should. But as I never refuse learning new things or a big-fat-girly-chat, I joined my mates and we went to visit Sharon at her shop Kaqala. Now I can say: What a great experience!!! I came out of the shop with a big smile, happy that I’ve learnt so many new things about pearls and a great life story. 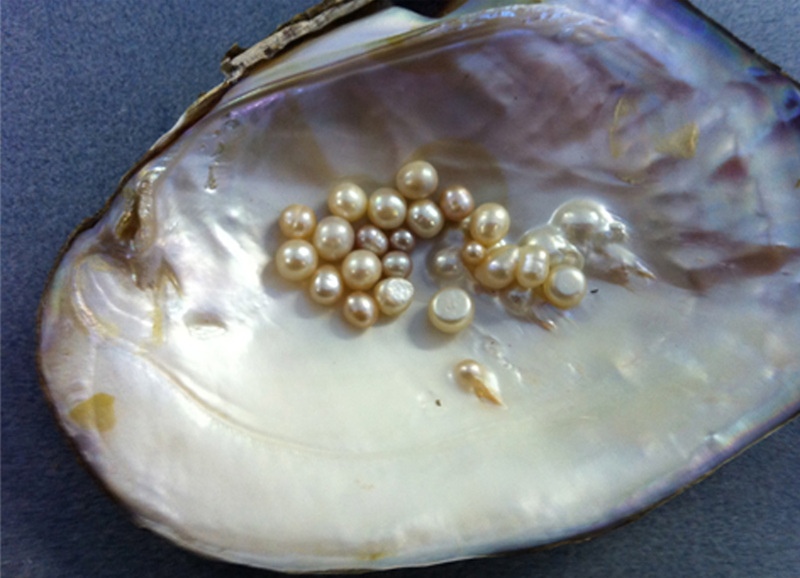 I knew Pearls were made by some kind of mollusk in shells underwater but there’s so much more to it than that. Did you know that Pearls are “alive” and in order to keep them that way you need to wear them? If you keep Pearls in a box for too long they die loosing its shine and colour. They need to be in contact with skin and fresh air to keep its beauty… In old times servants would wear the Pearls of the house Lady in order to keep them “alive”. Interesting, don’t you think?